Fill out a few fields for us and you're all set. 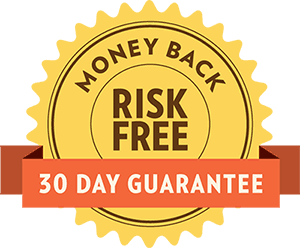 We back every order with our 30-day satisfaction guarantee. If, for whatever reason, you feel that our product hasn't met your expectations, contact us for a full refund. No questions asked!